As a job seeker, CV is the first contact any potential employer has with you. It is your one chance of selling yourself, skills and achievements to an employer. It’s therefore necessary that this first impression is completely error free and void of mistakes. Despite the importance of having an error free CV, a lot of candidates still make certain mistakes which tend to truncate their chances of landing a job interview. Here are some CV mistakes you must avoid as a candidate. Emphasis is continually made on the importance of cross checking your CV before sending it to an employer. Yet you still find typographical and grammatical errors on the CVs of several candidates. It’s important to note that employers read between the lines and can spot grammatical errors which tend to give them a negative impression about you. Hence the need to cross check your CV several times before submitting. It is not enough to depend on spell-checks, take a step further by giving your CV to someone else to proof read it with the aim of pin-pointing errors. You must adapt your CV to appeal directly to the respective employers you are reaching out to. Candidates most times tend to have just one particular CV which they use in applying for all jobs. You must understand that not tailoring your CV is a big mistake you need to avoid because what may appeal to one employer may not appeal to the other. Therefore, try to understand what an employer is looking out for and adapt your CV to suit them. Every employer wants to know if you are suitable for the job, and if your CV is not adapted to highlight those particular skills that such an employer is looking for, you would have missed an opportunity. This mistake applies majorly to candidates who are currently working and desire to switch jobs. As a candidate who is looking to switch jobs, it’s very important you include your current role in your CV. The essence is to show potential recruiters what you are actually capable of. By leaving out details of your current role and omitting new skills gained on the job, you are only limiting your chances of success. It will be wrong if you arrange your previous roles and work experience in a chronological order starting with the oldest. Your work experience should be listed in a reverse chronological order starting with the newest role down to the older ones. The essence of this is to make your current abilities known to the recruiter in order to trigger their interest in your CV. One mistake that a lot of candidates make is exaggerating their skills and fabricating fake experience on their CVs. You should know that recruiters who are experienced look diligently at facts that just don’t add up. Peradventure you secure a job with a false CV, how do you intend to cope with carrying out your day to day job responsibility? The importance of stating correct facts in your CV is highly appropriate. Recruiters are not specifically interested in your current or previous job title, rather they are more interested in your accomplishments. What were you able to achieve during the period of time you occupied a particular job position? It’s important not to leave out any of such details that have the capacity to capture the recruiter’s attention and trigger their interest in you. 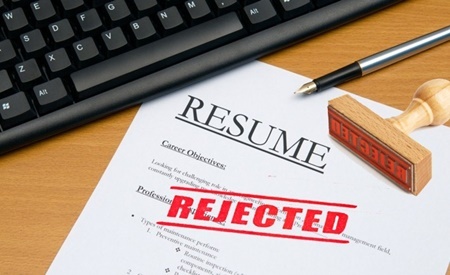 No one is above mistakes, but if you are not careful enough to review your CV before submitting for errors, you are actually jeopardizing your chances of getting called for an interview.